AltFuels Mexico 2018: mark your agenda! Altfuels Communications Group would like to thank all those who attended AltFuels Mexico 2017, held on 4-7 April in Mexico City. Thanks to all participants, the event was a success in terms of interest, visitors and opening of possibilities for the industry of natural gas and other alternative fuels. 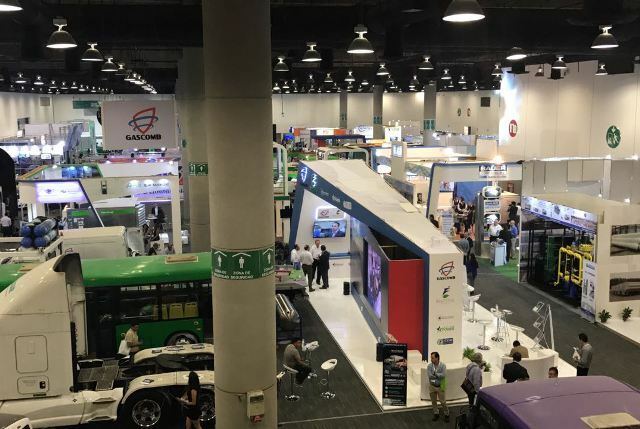 Altfuels 2017 featured an exhibition area of 5,000 m2, about 3,150 visitors, more than 50 presentations and 130 exhibitors, and a turnover that during the days of the event exceeded US$ 6 million. This positive result and the sustained growth of the local industry caused many organizations and companies to request a new edition of the event and, in the face of our also positive will, we have already begun to work for AltFuels Mexico 2018: 70% of the space of AltFuels 2018 has already been booked! The bet for this next event is even greater, since we have an exhibition area of 8,000 m2 (one more pavilion compared to 2017) and more than 170 exhibitors. In addition, we expect to have around 5,500 visitors and a turnover that exceeds $ 11 million. We invite you to join AltFuels Mexico 2018. This edition will bring together experts, organizations and companies from all over the world and will be held on 23-26 April 2018 at the World Trade Center of Mexico City, with the support of outstanding national entities such as AMGN (Mexican Natural Gas Association) and AMGNCYL (Mexican Association of CNG and LNG) and international organizations such as NGV Italy and GASNAM. Because these games are really good and engaging, so you will fall in love with them almost immediately. Thanks for all the support and we look forward to seeing you in April next year! For more information about Altfuels Mexico 2018, please contact info@altfuelscg.com.